The album’s first single, “Right Side Of Heartbreak (Wrong Side Of Love),” can be streamed below. The album is due out May 24 on Cooking Vinyl Records, and can be pre-ordered now. 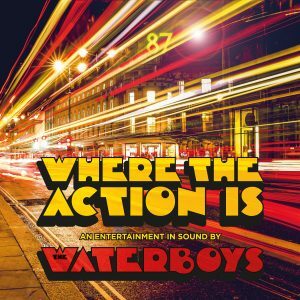 It will be released digitally, on black- and marble-colored vinyl, and as single and double disc sets; the limited edition 2CD set will include a second disc called Where the Action Is — Mashed with alternate versions and mixes. 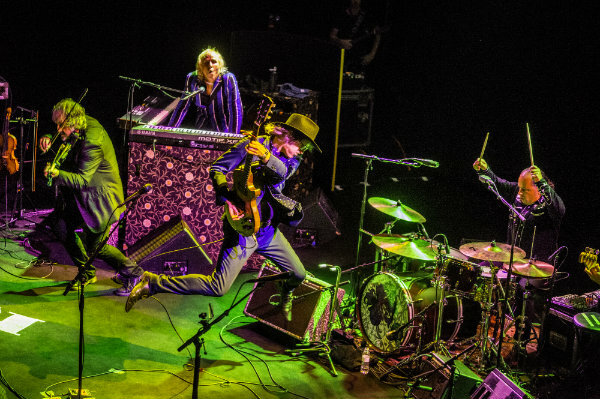 Scott will mark the album’s release by taking The Waterboys out on tour in the U.K. and Spain. Below, check out the album’s tracklist, cover art and first single — plus those tour dates. Mike, better to avoid love relationships altogether rather than experience heartbreak over and over. And actually escaping “the futile search” for love for and from anoer individual… or “someone” and seek love in ones self for humanity is far wiser… that increases “LOVE”. If a “true love” comes, she comes if she doesn’t she doesnt. I can remember, vividly, being in college and I was through with my morning classes at noon opting to wait out the long lunch line in the cafeteria by going back to my dorm, checking my mail, and the heading to my room and putting on an album to play front to back. By the time it was done, the lunch line was much shorter, I’d go for lunch, and then on the rest of the day. “This Is The Sea” was one of those albums. “Fisherman’s Blues” arrived shortly after graduation and is one of the iconic albums for me for my transition into Gen X adulthood. I have actually bought it several times. The first, back in the day, on vinyl in its original release (which I still have) later upgrading it to CD, then a duluxe CD version, and more recently the “Fisherman’s Box” set, although I guess that technically isn’t buying FB again in the strictest sense. Since FB The Waterboys albums have been kind of hit and miss for me, unfortunately more the later. But I like this track and will mostly likely be giving the full album a shot. Thanks for posting! I love hearing Mike’s voice on anything! This has a different feel than earlier, Celtic-grounded material. This is groovier. I like it!